QUICK SUPPORT FOR ALL YOUR COMPUTER PROBLEMS. PLEASE CLICK BELOW FOR THE SUPPORT YOU WANT. Email Chat Voice Remote Access. UNLIMITED Issue resolutions for Monthly and Annual subscribers. Benefits of tecmanhelp.com - Tecman's team of technical support technicians are committed to provide cost effective solutions to customers based on many years of proven experience which has resulted in a large number of appreciations. We provides 50% savings over other service providers with higher quality, prompt service and other benefits. All email queries will be responded to within 12 hours, often instantly. 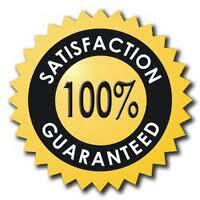 Appreciations -For a representative list of customer's appreciations please click here. 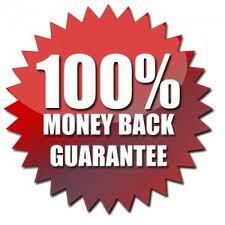 Refund Policy - IN CASE THE ANSWER GIVEN BY TECMANHELP IN THE FORM OF EMAIL SUPPORT, CHAT SUPPORT, VOICE SUPPORT AND REMOTE SUPPORT IS PROVEN TO BE UNWORKABLE THEN THE CUSTOMER WILL BE REFUNDED FULL AMOUNT FOR THAT INCIDENT. This is a great service. Keep it up. You have built considerable goodwill with me. Send this to your management if you wish. Thanks, and everything works now!!! You guys should give lessons to Other internet companies and services who cannot give a straight answer to a simple question!!! Worked like a charm. This is one of the few times that I have received such a quick response from any support services and the procedure worked!! Please forward to a manager or supervisor!! I want to compliment your support team for their response to my reported problem. The response was: RAPID (less than 24 hours) Complete and easy to understand Effective ( my wife's machine is now up and running with Bluelight) I was employed by IBM for over 30 years and during that time I managed a team of remote program support reps. (worked on programming problems via the telephone) We worked hard to be as efficient and effective as was your support for this problem. THANK YOU!!! I want to thank you for all your very clear, concise instructions and comments. Many things I did not know and some were reminders. I appreciate the time and thought you put into trying to solve my computer problem. I was employed in the past for many years working with computer hardware, but not in recent years, and have had many contacts with various tech support services. I am certainly not a professional at this point, but not quite an amateur either. I have to say that this is undoubtly the best tech support I have ever received. THANK YOU AGAIN! Thanks for the return letter I finally found the problem and have it going correct. A Representative list of computer related services we provide is given below. Please identify the service you want and then choose your plan of Email, Chat, Phone or Remote support given above.